Apollo Perelini believes his UAE side that will begin the fight for a place at the 2019 Rugby World Cup next month at the Asia Rugby Championship is twice as good as the team that stormed to Division I promotion a year ago. 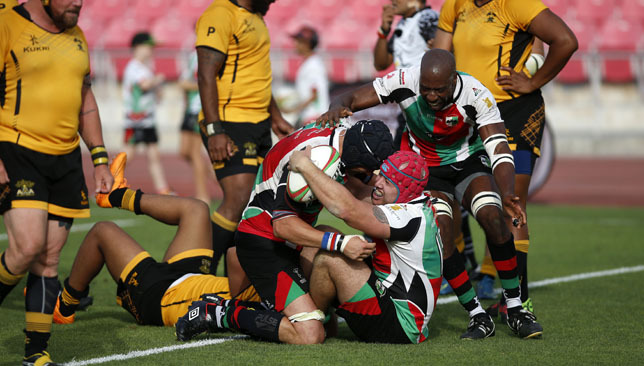 Perelini’s UAE smashed hosts Uzbekistan 63-13 in the ARC Division II semi-final last May before dismantling Thailand 70-18 in the final in Tashkent to earn promotion back to Asia Rugby’s second tier. Now in Division I, they will compete with Sri Lanka, the Philippines and hosts Malaysia next month. The winners of this year’s Division I tournament will then advance to the Top 3 Challenge play-off which will see them face the loser of the ARC Top 3 – either Japan, Hong Kong or South Korea – later this year for a chance to not only enter the Top 3 next season but also the final round of Asia qualification for the World Cup in two years’ time. And, buoyed by their success a year ago and with an injection of talent newly qualified to represent the UAE this season, Perelini is confident heading into the Division I tournament in Ipoh, where the UAE start against the hosts on May 14. “Confidence is high after last year. The squad is probably twice as strong as last year,” said UAE Rugby performance manager Perelini, who has been training every Saturday with his squad for much of 2017. Perelini was able to call up Abu Dhabi Harlequins heartbeat Ben Bolger a year ago, and the talismanic flanker who slotted straight into a vice captain role is likely to be in good company if selected for the final 27-man squad in the coming weeks. Luke Stevenson, Quins’ game-managing fly-half, has reached eligibility this season, and has been training with the UAE at The Sevens. 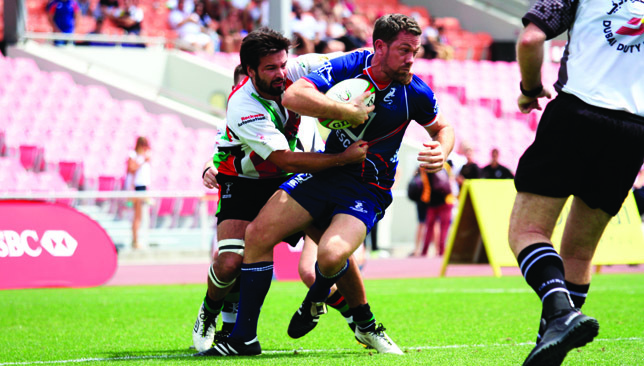 Dubai Exiles skipper and Number 8 Glenn Moore, Jebel Ali Dragons scrum-half Kris Greene and Dubai Hurricanes fly-half Andrew Powell are just a few of the names who have also recently qualified and could be on the plane to Malaysia. All this is hugely promising for Perelini as the UAE go in search of their dream of qualifying for Japan 2019 – however unlikely. Perelini has already shorn his squad to 32, with five more names to be culled before heading east. 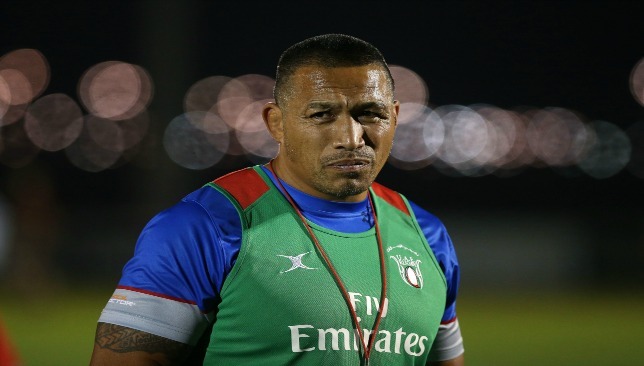 The New Zealand former dual code Samoa international gave his players a weekend off on Saturday following the UAE Rugby Finals Day, but things will intensify with two training sessions per week from this Saturday. 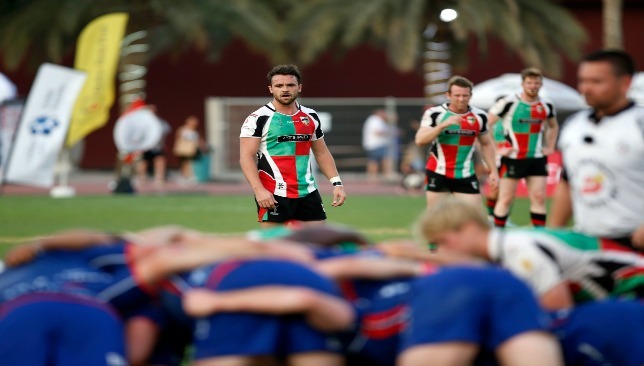 The UAE will also play two warm-up games before jetting off to Malaysia, against a UAE Conference XV at The Sevens on Saturday, April 21, and a UAE Premiership XV at Sharjah Wanderers Sports Club following the Sharjah 10s on April 28. “I just really want the boys to play together. We’ve trained well over the last couple of months but you can train as much as you like, you can’t see what’s wrong, what your strengths are, what you need to improve on,” Perelini added. “Mike (McFarlane, Quins head coach) will get together with some of the other coaches to collaborate on a Premiership side, so that will be a strong test. I want that to be a real good game to test my players and our structures. The UAE is a supremely transient place, but Neil ver Weij has lived in the Emirates and been part of Jebel Ali Dragons for 25 years – so victory for his side in the Community League final yesterday was pretty special for him. When you add in the fact that the 55-year-old played on the losing side in last year’s final, Dragons’ 22-11 win was a fitting way for him to end his first season as Dragons team manager. “I was still playing last season, I played in the final,” said the 55-year-old. “From playing to coaching has been a massive difference. My mind still wants to be there but my body can’t. I’m still there living every minute with the boys. 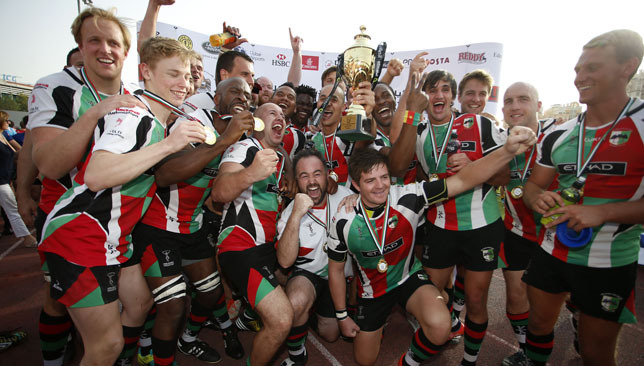 Dragons kicked off the inaugural UAE Rugby Finals Day at Dubai Sports City Friday with a victory that ruined Quins’ chances of claiming three of the four trophies on offer. They were always in control of the game, with Chris Pike scoring a brace and Scott Kerr and Ryan Baird also crossing to seal a superb season. Having lost in the first Community League final a year ago to Beaver Nomads, Ver Weij admitted Jebel Ali came into the final with a lot of pressure on them. “There was a lot of pressure on us and we’re up against a very good team too in Quins,” he said. Double the joy: Kent Watene wins it. Kent Watene had arguably the biggest impact of any player on UAE Rugby Finals Day as he first scored the try that sent the UAE Conference Top 6 final to extra time – and then grabbed the golden score to clinch an epic win for Abu Dhabi Harlequins. This game tends to throw up thrilling encounters – with Sharjah Wanderers claiming Top 6 glory a year ago with a try in the last seconds to secure a 27-26 victory over Jebel Ali Dragons 2nds. This year’s final was even more dramatic, with New Zealander Watene at its centre as Quins scored a try with 14 seconds remaining against the valiant 14 men of Al Ain Amblers. It was an enthralling encounter throughout, Quins erasing a 19-7 half-time deficit to win a game that will live long in the memory. “We gave them a massive lead, so to run them down and score a try to take it to extra time and then to win it like that was pretty awesome. It was a great feeling,” said 30-year-old flanker Watene. A fairytale ending to a season that had started dreadfully for Amblers was not to be. But having began it by withdrawing from the top-flight UAE Premiership after been shorn of a host of star names by rivals clubs, they can be proud of how it ended. Amblers came into the game as slight favourites, having finished top of the Top 6 with four wins from five, six points ahead of Quins. The two teams had played out a thriller just weeks ago, with Quins running out 34-33 winners at Zayed Sports City, so it was perhaps no surprise the final was again closely contested. “We won by a point against them a few weeks ago and knew we had to step it up today,” added Watene. Despite all their talent, Watene admitted it was Quins’ character that saw them claim a memorable win. Amblers took hold of the first half after Quins flanker Gwennael Pettilat was sent to the sin-bin. Rocco De Bruyn’s side went ahead in the 15th minute through a quite brilliant try – something that was to become a feature of the game – through winger Ebrahim Doree. He crashed over after being fed by an exquisite one-handed behind the back pass by Adam Chapman, although Frederick Karl Holdt missed a tough conversion. Three minutes later it was 12-0 with Holdt powering over after throwing a sublime dummy after a free-flowing move. South African flanker Gerrit Visser got Quins in the game just before half time with their first try, influential fly-half Tom Brown kicking a sublime conversion from the touchline. Their hard work was undone a minute before the interval though when Al Ain crossed for their third try. This time Doree was the provider, throwing another one-handed pass to centre Ilisoni Galala who burst through a tiny gap and dived for the corner, managing to ground the ball despite the attention of two Quins tacklers. Holdt nailed the touchline conversion to sent Amblers in at the break 19-7 up. They could have buckled but Quins got right back in it eight minutes after half time with a try for centre Ashbey Williams, who had the freedom of the field to touch down after a loop pass found him in acres. He then added a quick-fire second to draw the sides level with the try of the game. An Al Ain clearance kick was fielded by Quins winger Neil McRory. Full-back Tom Southall chipped ahead and Williams outmuscled his marker to reach it first before throwing a debastating step to evade the full-back and streak in under the posts to tie the game at 19-19. Quins were in the ascendancy but Amblers retook the lead when Epeli Davetawalu took a pass from a team-mate in contact and sprinted in from 30 metres with 13 minutes left. The big man quickly went from hero to zero though when he was sent off for deliberately killing the ball – having earlier been shown a yellow. Quins poured forward, initially to no avail, with Amblers defending desperately. The pressure eventually told with 14 seconds left as they rumbled forward from a five metre scrum and Watene gleefully touched down. They still needed to convert but Brown kept his nerve to send the game into the extra period. With the man advantage it seemed inevitable that Quins would win it, and so it proved with Watene again the scorer, diving over from a maul to bring to an end a brilliant game.